(See photos below) From garage sales, to holiday botiques, to fashion shows, to coffee house concerts, to faux tea parties, "Coins for Corn" campaigns, meet and greet events and a host of other creative outreaches, local Gogo Groups raise funds to support their assigned Malawian village(s), This support pays for the annual distribution of seeds and fertilizer, blankets, mosquito nets, and regular training and encouragement from the local Malawian staff. Often it also funds the building of a permanent preschool building in the village. and as needed, better access to clean water. Gogo Groups across America provide a structured way to put love and support for the Malawi village gogos and orphans into action. Local chartered groups are supported with tools, training, promotional resources, ideas and regular news. The relationship assures the reliable and secure distribution in Africa of the resources gathered and it multiplies the U.S. groups' effectiveness. 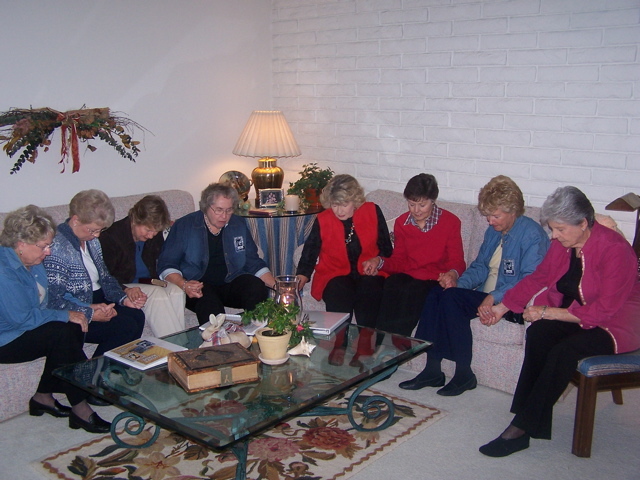 Foundational to every Gogo Group is a focus on both prayer and care. Prayer addresses the spiritual battle going on in the lives of village gogos and the orphan children. Care brings the material assistance the African gogos need. Each part blesses the lives of those involved in both Malawi and the U.S..
Gogo Groups follow a refreshing way to pray. In partnership with Moms in Prayer International, both American and African village gogos follow a simple format for group prayer. In Malawi thirty translated lessons on prayer--suitable for illiterate village gogos--are placed on amazingly small solar-powered audio players, along with helpful hygiene, nutrition and child care information. Gogo Groups in America care by recruiting monthly Sponsor a Village Gogo donors and conducting fund-raising projects that tap the unique interests and abilities within each group. It's just as simple and powerful as it sounds. 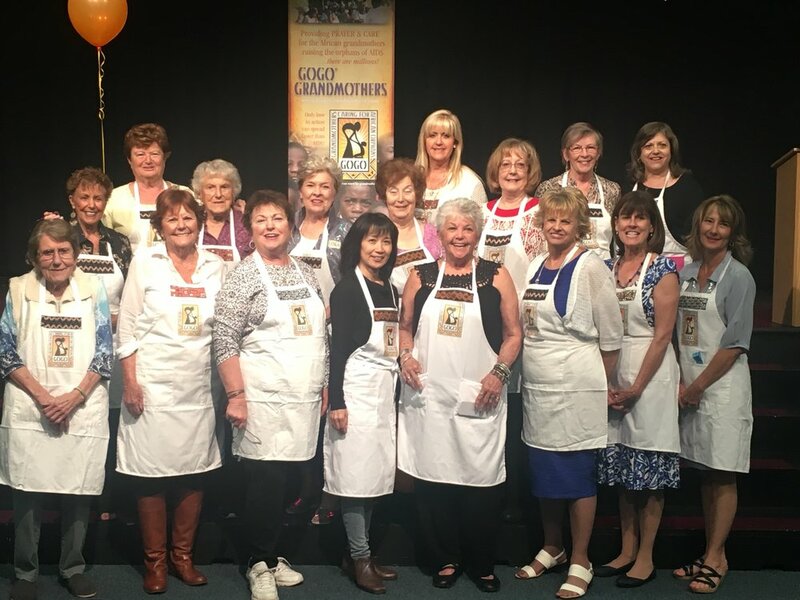 Each Gogo Grandmothers group typically has a group leader, assistant leader, prayer leader, project leader, and treasurer. A Gogo Grandmothers Leader's Manual and training by visits and phone is provided to chartered Gogo Grandmother groups and makes fulfilling these responsibilities efficient, effective and rewarding. Click for information on starting a Gogo Group. As described below, Gogo Group leaders and members gather annually for a national retreat. Some groups also send talented teams to Malawi to deliver needed resources and training to enhance the capabilities and effectiveness of the SAFE staff team. While visitors interrupt the regular responsibilities of SAFE staff, the resources and well-orchestrated expertise they bring can be quite valuable. Recent teams, sent by one of the American Gogo groups have, brought advanced teaching strategies and classroom methods to CBCC caregivers, enhanced biblical teaching and discipleship skills, vocational training for youth with the needed equipment and materials, upgrades to and expansion of facilities, along with key electronics and instruction to improve logistics. Or course, the team's presence itself always makes a welcome and power statement about the depth of commitment in the U.S. underpinning their labors every day there in Malawi. And when returning teams report, it's often hard to tell who was impacted the most--the work in Malawi or the team returning home. Gogo annual "retreats"… are actually great advances!